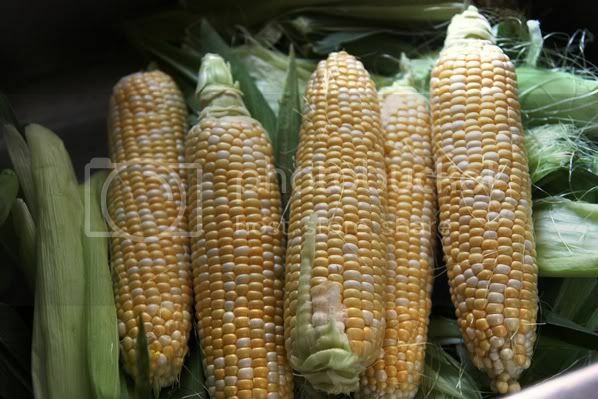 Two-toned, sweet corn on cob with a slather of butter and a pinch of salt on a warm summer evening is best eaten with your hands outside on a porch drinking a light lager in your shorts and jandals. Oh, love that corn! It is the best and we had it for dinner last night. I'm new here and so glad to find your blog! I see lots of great recipes to try and I'm looking forward to more!